We observed an interspecies association between wild Javan lutungs (Trachypithecus auratus) and rusa deer (Rusa timorensis). In this association, the former drops plant items that the latter subsequently consumes (glean). 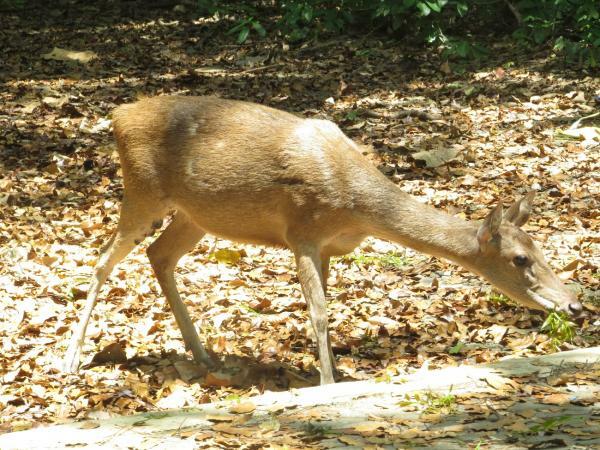 We investigated whether the association is beneficial for deer that inhabit tropical regions characterized by drastic seasonal changes. Between 2011 and 2013, we conducted field surveys in the Pangandaran Nature Reserve, Indonesia. 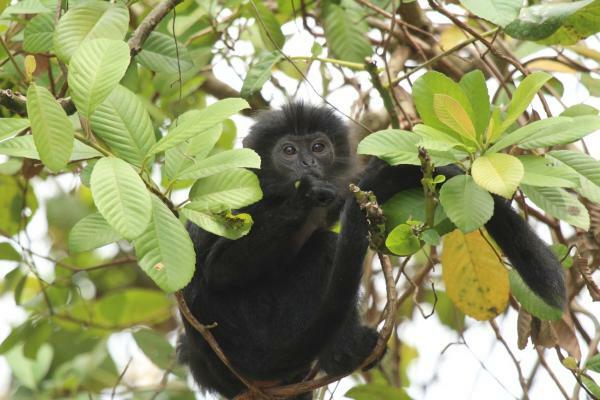 We observed 248 gleaning events; the total duration (60.1 h) of these gleaning events corresponded to approximately 4% of the lutung observation time. Deer consumed 39 items dropped by lutungs; these items belonged to 28 plant species and included leaves, fruits, and flowers. Gleaning events occurred more frequently during months when rainfall was low and few herbaceous plants grew in grassland patches. Gleaned foods were significantly heavier than non-gleaned foods. 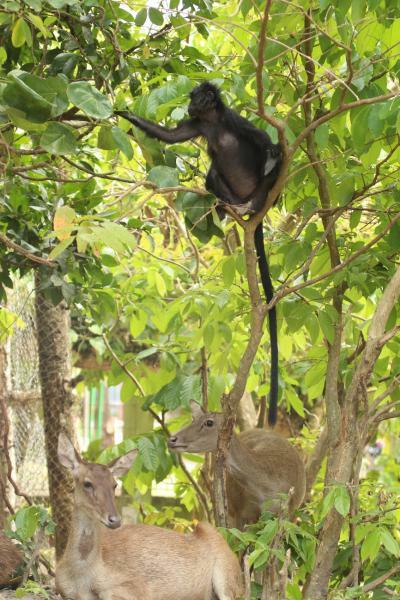 Our findings imply that the lutung-deer association is beneficial to deer, by improving nutritional condition during seasons with low food resources.